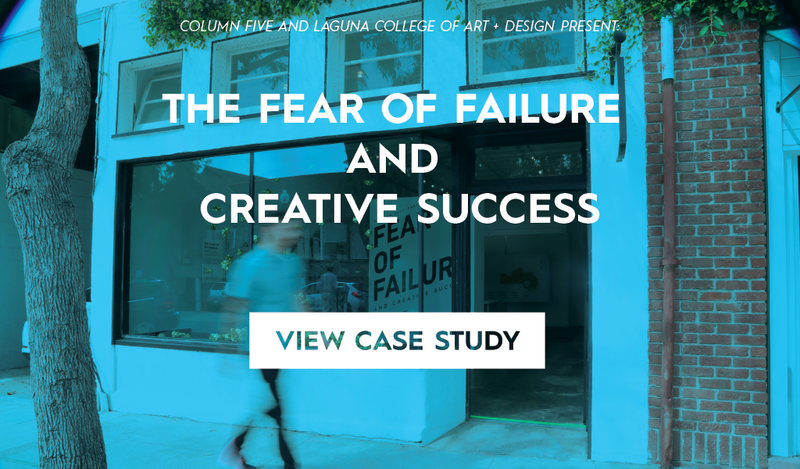 We teamed up with the Laguna College of Art + Design (LCAD) to create a month-long exhibit on the “Fear of Failure and Creative Success.” This exhibit features several installations that shed light on the correlation between failure and creative success. The idea behind the exhibit is to examine the observation that all creative successes first started in failure. Some of the most popular books, movies, campaigns, and albums in human history have all began in failure of some kind. The takeaway from this exhibit is that failure is part of the creative process, and that perseverance through that failure is what ultimately leads to creative success.